Voted a 2000 Book of the Year by the Academy of Parish Clergy In today's fragmented and frenetic world, families face all kinds of pressures. Accordingly, those ministering with families need a multifaceted, well-informed sense of both the Christian purpose of family and the complex world our families inhabit. Writing out of years of experience in the church and academy, Diana Garland here offers just such a broad and comprehensive introduction to this crucially important subject. Family Ministry begins with several chapters placing the family in its modern context, then considers the history of families and their interaction with the church. Having thoroughly contextualized the family and its concerns as they are now understood, Garland dedicates three chapters to biblical understandings of the family. The remaining ten chapters of her book are devoted to the practice of family ministry, including guidance on promoting strong families and dealing with crises such as divorce and spousal abuse. 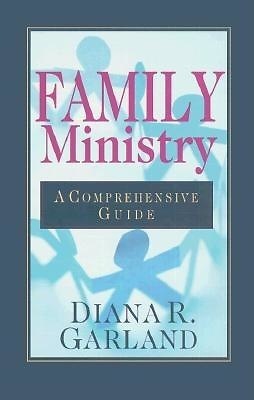 All this, based on careful research and seasoned reflection, makes Family Ministry not only a key text for students of family ministry but also an indispensable guide and resource for pastors and those in the helping professions.